It is generally believed that the single largest collection of items in self-storage facilities across America are Christmas decorations: trees, ornaments, yard art, and similar items. We believe this to be true as our six units are piled high with these same possessions. There is a huge connection between Christmas and self-storage, from storing these decorations to the new material items purchased each season. Christmas has become the most materialistic holiday, with over 30% of total U.S. retail sales stemming from the holiday season. But there’s another side to the holidays that we’d like to discuss. And that’s the spirit of sharing time with friends and family. And we would like to thank you for sharing time with us each month, reading this newsletter, or the other articles that we write about the self-storage industry. Have a Happy Holiday Season and a Happy New Year! Is The Future Of Storage Managers Going Robotic? There seems to be a continual push to manage self-storage facilities without human intervention. The first step towards this goal was the kiosk, which allows customers to rent, pay – and even by locks – from a machine that looks like an ATM, that is located at the front of the facility. However, there is now a new concept of managing storage using a robot, which can actually even walk the hallways of the facility and ensure that everything is working fine in a virtual format. Indeed, this technology is already in use in Europe and is coming to the U.S. soon. So how will robotic management impact the self-storage industry? Kiosks have been in use in self-storage facilities for years, and have earned the respect of many owners. But their existence does not replace the need for a human within the management cycle. The natural extension of the kiosk technology and applications is the robot – something that can fully replace the need for on-site human management. That’s not to say that you can then end all employment of human management – somebody has to manage the robots and maintain them – but this could be done with a human who manages multiple properties and not just one. Of course, the byproduct of this is a reduction in management cost. In most self-storage facilities, management is the largest line item on the expense roster. By reducing this cost, the savings fall right to the bottom line. This is no different than the net effect of the technological advances in robotics in everything from automobile manufacturing to Amazon. cost over a number of properties, using regional managers that help manage a grouping of storage facilities. However, robotics will give even single-facility owners the same management talent and cost, and it’s a safe bet that groups will spring up to manage these robots at the same cost whether you own one property or one-hundred. You’ve probably noticed that there is more liability from employees than customers these days. Slip and fall insurance claims are minor compared to sexual harassment, over-time and employment discrimination cases. People, in general, have become a liability that few employers want to put up with. That’s part of what is pushing renewed efforts to automate every possible function – such as the fast food industry is experimenting with. The simple goal is to remove the liability of a human workforce. Of course, we’re all aware of the many advantages that robots have over humans. They never call in sick. They never need vacations. You don’t have to fire them. They can’t sue you. They don’t complain. They are always completely professional. They don’t sleep on the job. They don’t embezzle. They always follow direction. They can work 24/7 as long as the electricity is available. Need I say more? Robots are coming to self-storage facilities in the U.S., and we certainly welcome them. Of course, there will be some initial problems and kinks to work out, but the net effect for the industry is huge. Have you ever noticed that some storage investors seem to put together better deals than others? They get better prices and better terms. Well, it’s not just luck. There is a strategy to negotiating spectacular deals that goes beyond the regular negotiating blocking and tackling skill set. So how do you negotiate a good deal into a great deal? The first dynamic is called “bonding with the seller”. What that means is that you become a friend to the seller, in such a manner, that the seller gives you extra trust and empathy over that of a typical buyer. We have a million of those stories. They all began with simply spending time with the seller in person or over the phone, and doing 99% of the listening and 1% of the talking. 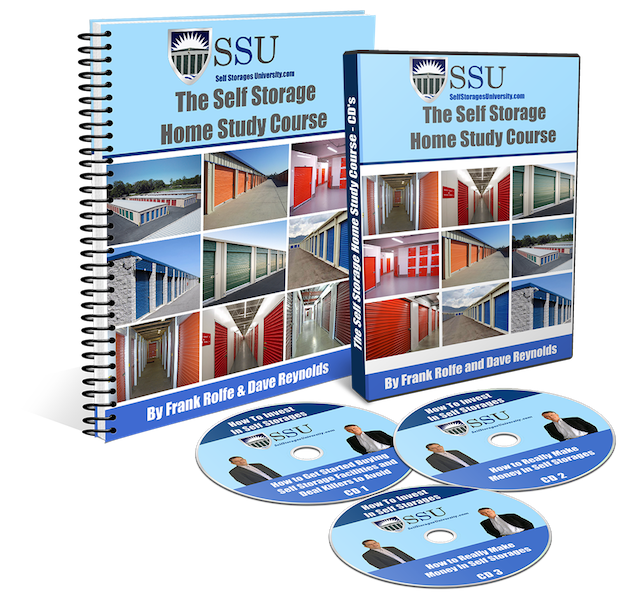 The best way to begin this process is by asking the seller “so how did you come to own this storage facility?” The answer can take hours, and by then you’ve started down the path to bonding. Another important factor is simply understanding what separates a good deal from a great deal. What does a great deal look like on this property? What would be an amazing price? Amazing terms? To get there you have to do your homework before you even meet with the owner, and have a good handle on the true value of the property, as well as current loan costs. This gives you the roadmap to framing the target. Some buyers go into negotiating with the seller without even having a handle on what the target price is. How can you create great deals without knowing what the bullseye would be? Enthusiasm truly is contagious. So is passion. When you get excited about a deal, it also makes the seller excited. Humans share the need for a higher meaning to life, and when something seems like a big deal to you, it makes others more willing to help you in that mission. The best U.S. Civil War generals used to say that the ingredient between winning and losing was putting on their bayonets and running screaming at the enemy. The same is true in buying self-storage properties. Don’t be afraid to exclaim your excitement and passion in buying the right property at the right price – that’s what makes the seller want to help you in your goal. We’ve been saying it for over twenty years, and we’ll say it again: you can’t bully rich people. The common thought on negotiating – as related in many a book on Amazon – is the concept of win/lose negotiating. With win/lose, one party wins big and the other gets screwed. That’s fine if you are negotiating with a person in a weak position (like the note is coming due and they can’t refinance, or the city is about to shut the property down due to non-payment of taxes). But here’s a new bulletin: good storage facility owners are never in trouble. They typically own them free and clear. They live frugally. They are insulated from financial havoc. So your only strategy should be “win/win” in which both buyer and seller are happy with the final closing. When you approach deals in this manner, the seller responds favorably to you and gives you better prices and terms. Smart negotiators never go into a discussion without a pre-planned rebuttal ready for every argument. They have already thought out what the seller might say and then how to steer the deal back to where they want it to be. Follow their example. Right down on a sheet of paper every possible negative response, and then what your positive response would be. That way, you are never caught off-guard, or searching for the words to say. From your first encounter with the seller, you either create a sense of trust or you don’t. How do you create it? By being respectful. By showing up on time. By listening rather than talking. By not bragging or trying to sound more experienced than you really are. In a word: by not lying. Be honest and the seller will respond favorably. You need trust to get great deals, particularly if there is seller financing involved. Creating great deals is not just random chance. It is the result of careful thought and planning. Use these thoughts to increase your level of play. Making a good deal into a great deal is well worth the effort. There are storage deals available across America in both big cities and small towns. Unfortunately, the smaller markets rarely get much discussion. But they can still be successful investments. So how do you make money with more rural self-storage properties? First of all, income properties are all about one thing: income. Look at the last three years of operating performance in the form of the Profit & Loss Statement. Average these together. Take out any unusual events (like the sale of an excess piece of land, or building an addition) – a process called “normalizing the numbers”. Make sure that you have all the costs accurate in your due diligence. Money is money, whether it’s a town of 10 million or 10 thousand. The big issue with more rural properties is how to manage them. Since they typically have lower revenue (due to smaller size and lower rents) it’s much harder to justify hiring a full-time manager. Instead, most of these properties are managed by part-time help (or even by the owner themselves). There’s certainly nothing wrong with that, but it does mean that the owner will have to be a little more hands-on than a passive owner in a big city. Of course, that’s not all bad, since many a passive owner has been put out of contact with reality by the management company and later found out that they did not do what was needed to maximize value. It’s much harder to find a part-time manager than a full-time, but there is typically always someone in town who wants to earn a little extra money meeting with customers initially and signing leases. 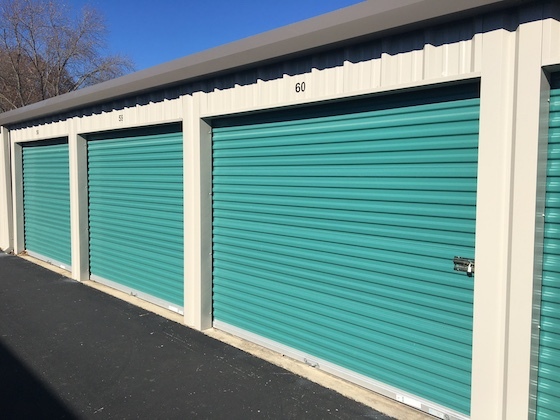 In big cities, you can sometimes have a storage facility that is hidden from view, but still sought out due to a shortage of storage in that market. In more rural areas, however, it’s even more essential that your property have a terrific location, since you don’t have much of a budget for advertising. Most rural storage facilities only market themselves with a listing on Google and a sign in front. Road frontage is key here. It is much harder to get financing on self-storage properties in rural areas – sometimes. Although the big lenders (such as CMBS and Agency) won’t make loans outside of giant metropolitan areas, smaller town banks certainly do. In addition, mom and pop owners in smaller areas are often much more willing to seller finance the sale. As a result, the financing for storage in smaller markets is still available, it’s just different than that of bigger areas. You will never be able to sell a rural storage facility to a giant REIT like Public Storage, unless the market grows over time into a large area (such as happened in Anderson, Indiana recently, where the metro population morphed from 103,000 to 1,800,000 due to growth and a re-write by the government on the metro area definition). Additionally, you will never be able to grow your rents as high in a smaller market as they can in the big city. Conrad Hilton’s mother told him once “you’ve got to go where the water is deep if you want to launch big ships” although it should be remembered that his move from building hotels in tiny Cisco, Texas to Dallas ended with him in full bankruptcy during the Great Depression. 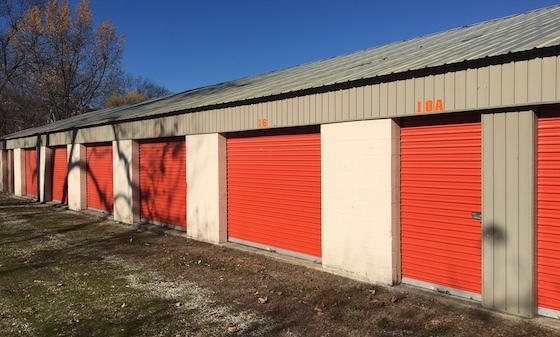 Buying self-storage facilities in more rural areas can be equally profitable, despite the fact that it is a slightly different business model with its own subtle nuances. But any investor can succeed at that game if that’s what you elect to play. One thing that you rarely hear about is a self-storage deal that can’t get financed. The truth is that storage financing is among the simplest to accomplish in the U.S. So why is it so easy to get a self-storage facility loan? The first reason is that self-storage has the lowest default rate of all the real estate sectors in America. It always is in a neck-and-neck position with mobile home parks, and those two sectors are always battling for #1 and #2 each year. Last year, storage won. When you have an unusually low default rate, it makes lenders eager to place loans that are a sure thing. Probably the key reason that storage does so well as far as loan defaults is that they have incredibly stable revenues. Most people store their stuff and pay their monthly rent, and have no desire to put in the effort to ever move or remove their items. On top of that, in a highly dysfunctional economy – which America has been since the Great Recession began – people store their stuff when downsizing, or when they lose their home, or when they move in search of employment. So the business model seems impervious to both boom and recession. It is more of a necessity than a luxury. There can be no business model more simple that self-storage. You rent people a concrete slab floor with four walls and a lightbulb, where they place their belongings and pay you rent. It’s certainly not a smart phone. And it has no maintenance issues – no toilets to fix or windows that break. This gives lenders a greater feeling of security because they can easily grasp the model and feel confident in it. Unlike virtually every other segment of real estate, self-storage never gets obsolete. It has looked virtually the same for a half-century now. Apartment design is continually changing, as is office and retail. Industrial buildings are not longer rentable unless they have extremely high-ceilings, due to advances in forklifts and shelving. But storage designs have not changed at all, and have no reason to going forward. As a result, lenders are happy that the properties they underwrite will not lose value. The advent of the internet has destroyed retail. It’s also killed the office segment since people now office at home using their laptop and smart phone. And then there’s the lodging industry, which has been crippled by Skype and on-line meetings. There are few real estate sectors that have fared as well in the internet age as self-storage. Self-storage lending has never been easier. The reason is that lenders feel confident with self-storage loans, which is based on track-record as well as business model simplicity. You can typically find an episode of Storage Wars running on some cable channel seemingly 24 hours per day. With this much exposure to Storage Wars, what is the impact of the show on the American consumer. 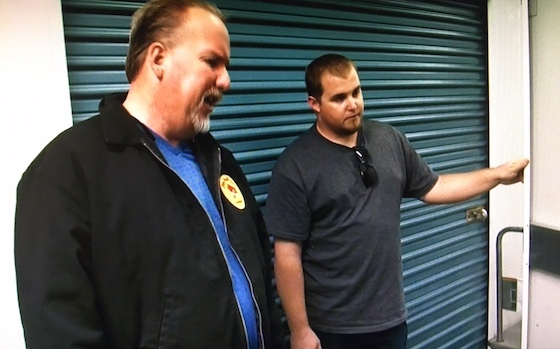 One of the benefits from a never-ending stream of Storage Wars is that it is a constant public-relations infomercial for the self-storage product. You see those roll-up doors in probably 100 camera angles per episode, as well as the contents of those units. Although Storage Wars stars some eccentric characters, it always shows the industry in a positive light. All of the self-storage facilities that are visited are clean and safe. All of the streets are paved and the buildings nicely painted. The units are free of insets or roof leaks. Overall, storage – as an industry – is portrayed very favorably. One interesting attribute of the units that are sold on the show is simply how much stuff fits into them. Just one unit can fill a truck or two. If anyone watching the show was concerned that they might not be able to fit all their items into a unit, they will certainly no better 30 minutes later. Storage Wars is a great show for the self-storage industry. Although it’s full of sometimes unbelievable plot lines and unusual stars, it always portrays the product in a good light.